We’ve only just begun to harness the energy-producing capabilities of natural forces like wind and waves. Power plants that sit in the water can take advantage of both; over 70% of the planet is covered in water, after all. 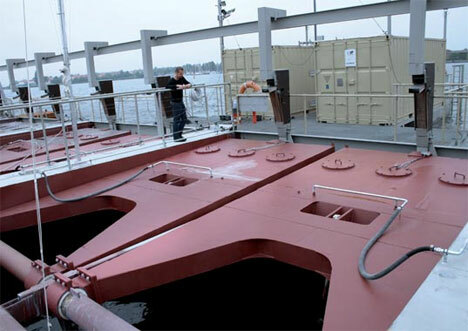 The Floating Power Plant project will blaze new paths in harvesting wind and wave energy from an offshore location. Called Poseidon for the mythical god of the sea, the power plant will be kept afloat in rough seas by the same technology that’s used to keep oil rigs stable. The futuristic commercial power plant will be a whopping 230 meters long, and just one of them will represent far lower emissions than a traditional (fossil fuel) power plant. 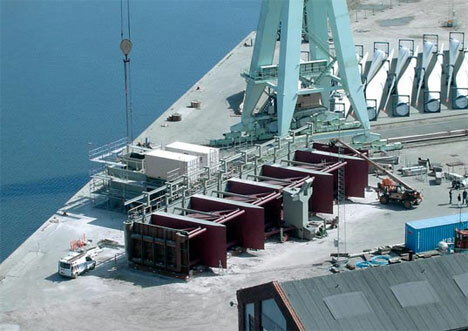 One Poseidon plant reduces 145 tons of sulphur dioxide, 35,000 tons of carbon dioxide, 120 tons of nitric oxides and 2600 tons of flying slag and ash – pollutants emptied into the environment every year by fossil fuel power generation. It’s estimated that each plant could produce in the neighborhood of 50 gigawatts annually. The plant’s considerable size works in its favor; it’s much more difficult for waves to tip over a huge platform than a small one. 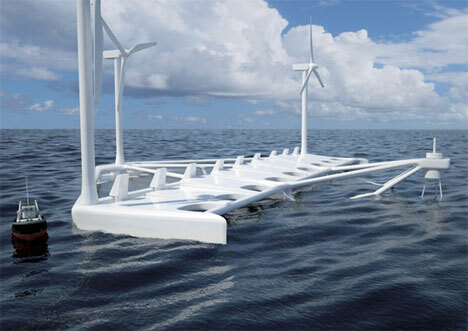 And because wave power isn’t 100 percent reliable due to ever-changing sea conditions, the onboard wind turbines would keep the juice flowing. But maybe the best part of the Poseidon project is the fact that it will most likely cut down on energy costs over time. After the Obama administration’s pledge to get 25% of America’s energy from renewable sources by 2025, this project couldn’t have come at a better time. See more in Energy & Power or under Science. May, 2010.